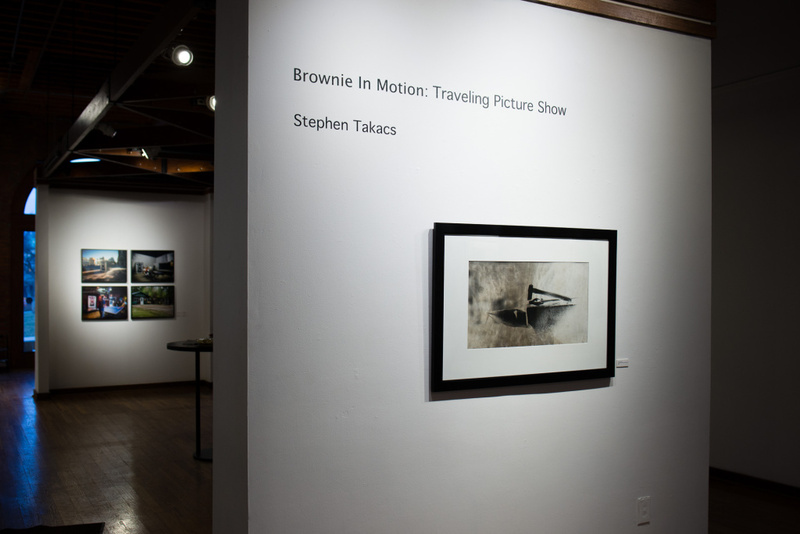 It will soon be your last chance to see the Brownie In Motion: Traveling Picture Show at the Columbus Cultural Arts Center. The show will end on March 19th, so you have to get there this week! Stephen Takacs has created an amazing collection of photos while traveling the country with his room-sized camera obscura. The Brownie Camera/Darkroom is on display, giving some context to the undertaking of constructing, using and traveling with this humongous contraption. It’s size is strategic and ingenious in one really important way- the camera doubles as a darkroom! The exposure is made on light sensitive paper and then developed from inside the Brownie, without ever exiting the camera itself.